The grant comes as a two-year scheme to help farmers learn how pasture management can be used to increase the profitability of livestock farms. Farmers in Cumbria and on Exmoor have been granted funding to find news way to improve upland farm profitability. 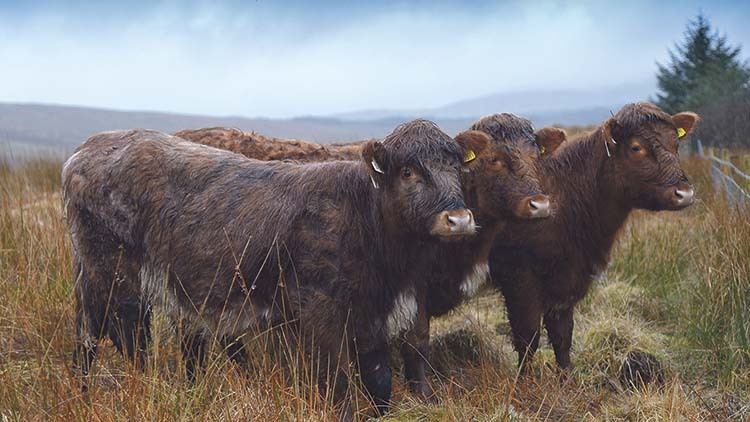 The money is part of a grant from The Prince’s Countryside Fund to The Pasture-fed Livestock Association (PFLA) over a two-year period specifically for groups of farmers to learn about how pasture management can be used to increase the profitability of ruminant livestock farms. The scheme will be aimed at giving farmers the confidence to make changes on their own farms, through guidance from farm visits, guest speakers and facilitated discussions. PFLA general manager Russ Carrington said: “There is a clear need to help upland farmers improve the returns from their farming businesses. “Many farm business surveys show very low or negative incomes from upland livestock enterprises and a total reliance on subsidy to make any living. Each group will be led by a local coordinator who will receive a small payment in return. For more information on how to be a coordinator or part of one of the groups, contact the PFLA office on 01285 889 853 or info@pfla.org.uk.